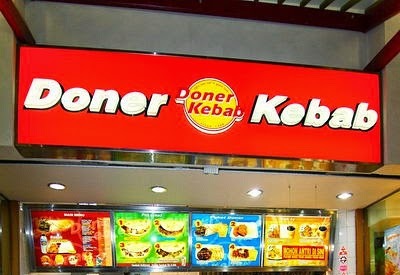 Browsing Category " Middle-East "
King of Kebab claims to be the only authentic kebab in town and they are not lying! They have a tiny location on Jalan Gunawarman, just in front of Holy Crab , where you will probably meet the owner, a Palestinian who worked in Australia and Singapore. He prepares the sauces himself and imports the beef from Australia. The kebabs are not so big but the prices are low (Rp38,000 for one). It is very convenient for an after party craving as they stay open late. You can park your car easily, order from go-jek, or eat on the spot in one of the few tables provided. 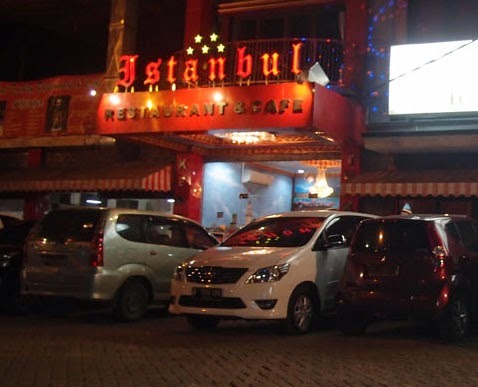 Istanbul Turkey is a Turkish Restaurant located on Jalan Ampera, not too far from Kemang. It was opened recently by a Turkish national who owns other venues in Turkey and Saudi Arabia. 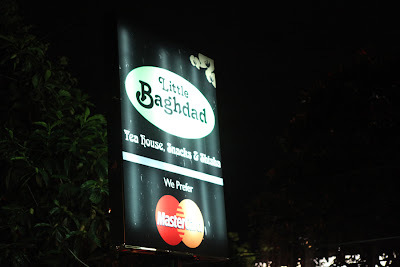 The place gave me a very good first impression as it was mostly crowded with Middle-eastern people. It doesn't look very upmarket, but it is authentic, clean and comfortable. I tried the Iskender Meat Lamb and Beef (135,000rp). It found it was excellent, but I couldn't tell you how the original dish is supposed to taste like since I never had it before. Iskender Lamb and Beef As there were many Turkish customers, I imagine it must be pretty authentic. 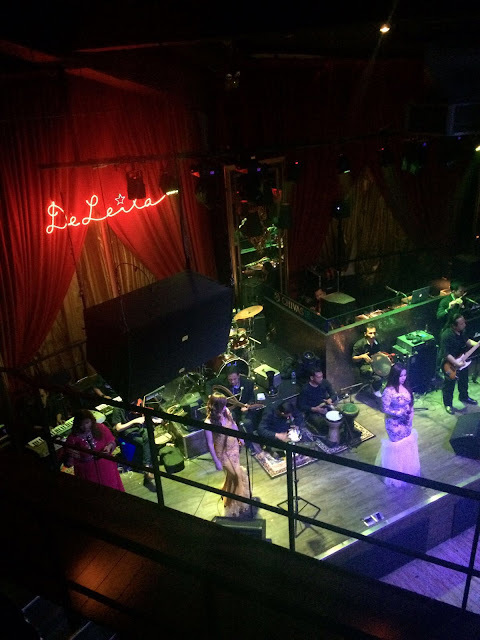 There is Live Music (Arab and Turkish) with Belly Dancers on Wednesday, Friday and Sunday night. They also have all kinds of Shishas. Overall: Istanbul Turkey is a cheaper alternative to Turkuaz or Anatolia if you are looking for Authentic Turkish food in Jakarta. 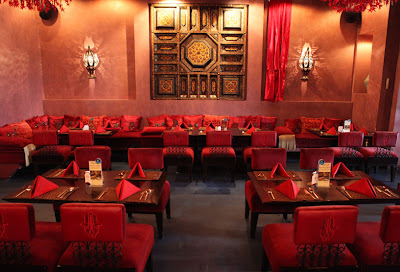 Al-Jazeerah is among the best Arabic restaurants in Jakarta in the mid-range price category. 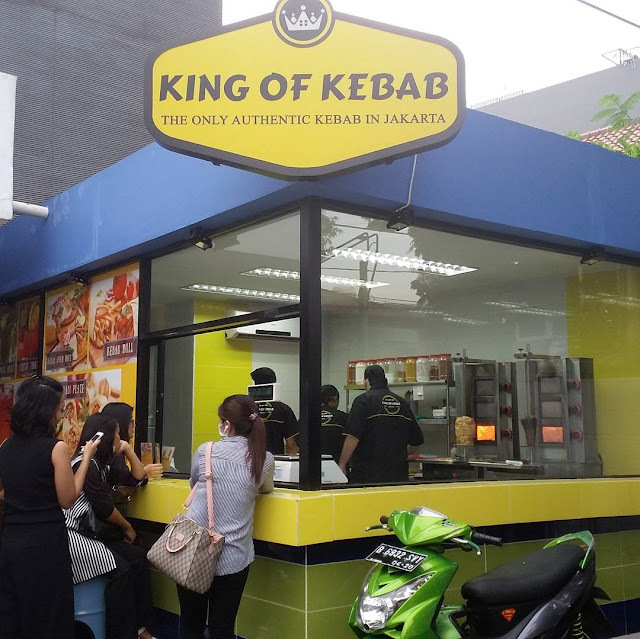 It is located in Jalan Raden Saleh, about 200 meters South from Taman Ismail Marzuki (TIM) , and it is a popular hangout spot for Middle Easterners in the city. Apart from the restaurant, you also have a take-away kebab stand and a busy shisha café (called Arabian Tent Cafe, a bit weird, it seemed to me that an abnormal proportion of girls were inside). 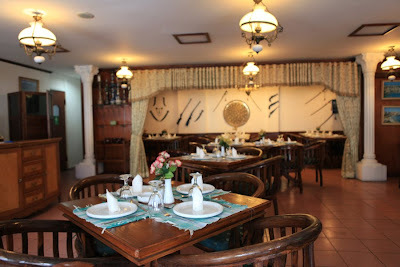 In the restaurant, you have a large function room, to be avoided for dining, and a smaller one in the back. It doesn't look great but it is comfortable and clean. They also have a giant screen with Arabic channels. The night I visited, there was about 10 other customers, and all of them looked foreign, most likely Arab. The air-con was very strong and blowing everywhere in the room unfortunately, and it made me leave as soon as I was done eating. 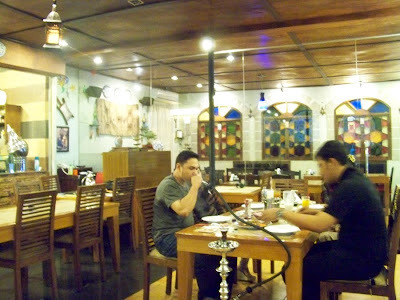 Al-Tahrir is a Middle-Eastern/Egyptian restaurant located in Pasar Festival, on Jalan Rasuna Said. Intended as a meeting point for the Egyptian community in Jakarta, it is named after Tahrir square in Cairo. The most interesting is that it is supposed to stay open 24-hour (see 24-hour restaurants in Jakarta ), one of the only venue to do so in the area. Concerning the food, it is rather cheap, but what I had tasted average. The Chicken Shawarma (Rp30,000) was made in the Egyptian way, with only tomatoes, peppers and the meat. I usually prefer when there are more ingredients (onions, white sauce, garlic, herbs, etc...), hence my disappointment. I also tried the Mixed Grilled Meat (Rp110,000), which is quite big for one person. The cooking was fine, particularly the sauce and the spices, but the ingredients used were probably not the best quality. There are no miracles, you get what you pay for. Update August 2011 : Since the Chef in Anatolia has opened its own restaurant, Turkuaz , I've heard the food is not as good as before here. I'll try to confirm as soon as possible. You're welcome to comment. 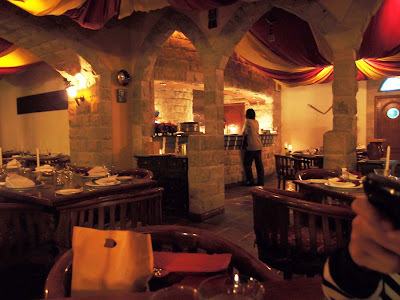 Diritna is a tiny "mediterranean" restaurant where you can also smoke different flavoured shishas. The type of food available is Lebanese, Syrian and Jordanian. You have an outdoor section, a bit noisy, and a sort of aquarium, more quiet but not really cozy. Probably one of the most authentic Arabic restaurants in Jakarta, Hadramout specializes in Yemeni cuisine, particularly Mandi/Madhbi (basmati rice, meat, spices). By coincidence, it is exactly what I ate the day before in Al-Jazeerah in Cikini so I was able to make a useful comparison. 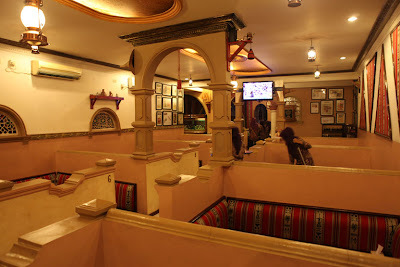 I preferred the atmosphere in Hadramout: They give you the possibility to eat directly on the carpet, in small private areas, which is quite unique in Jakarta. I advise you to choose the areas closest from the kitchen, more intimate. On the walls, you'll also find some traditional instruments and artefacts from Yemen. 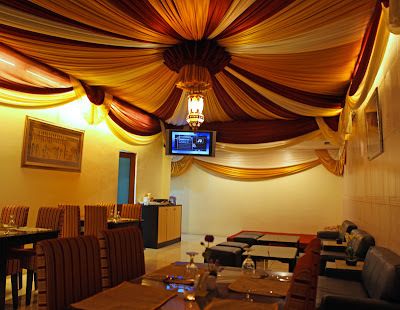 As in Al-Jazeerah , all the waitresses wear the headscarf and the television channels are in arabic. Of course, no alcohol is served. 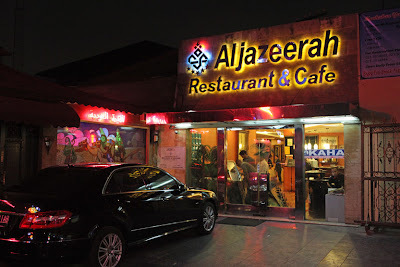 Concerning the food (Lamb Madhbi for 2, Rp121k++)), Al-Jazeerah was the best. The rice had the same taste, but the lamb in Hadramout was too salty and fatty . 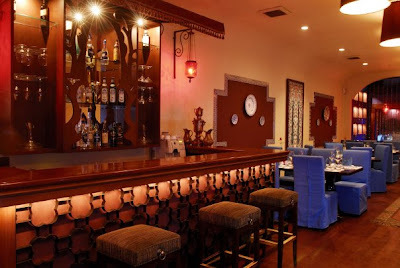 Maroush is a Moroccan restaurant in Crowne Plaza hotel, owned by the same group behind Frontpage and Anatolia . 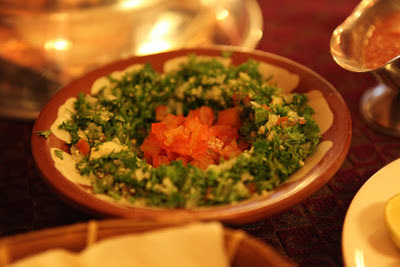 Along with Al-Nafoura (Lebanese food), it is among the best fine dining Arab restaurants in Jakarta. 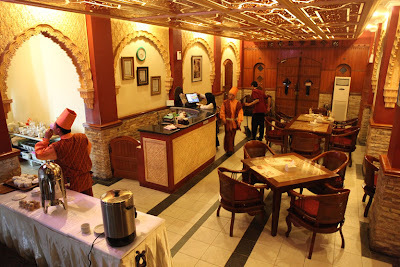 It is great both for the atmosphere and for the food, and while it remains much more expensive than your usual warung, I think it is affordable by Western standards (approximately Rp250,000 for a 2-course meal with drinks).